There is a maxim that says , ‘people are born leaders’, but I believe that anyone with enough dedication and the willingness to learn can become a good leader – perhaps. A good leader is one who places the needs of the people above personal aspirations and pursuits. An individual who desires to lead a nation certainly has great ambition, but if the principal goal is to place self ahead of the masses, then such an individual will never exhibit the attributes of a good leader. A good president formulates cathartic resolutions, devolves authority to capable lieutenants, promotes participatory democracy, galvanizes the citizenry, rejects ethnocentric proclivities, and preaches patriotism. The hope placed by Nigerians on General Muhammadu Buhari are just too high, this is expected because of 16 years of failed leadership. Corruption, poverty and insecurity has been on the increase since the inception of democracy in Nigeria. 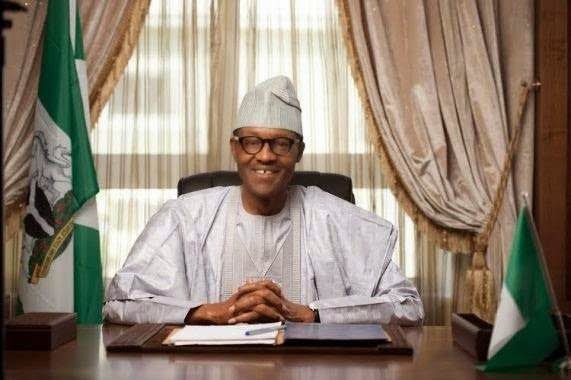 The election has brought back hope to the people and General Muhammadu Buhari victory is seen as divine intervention. Nigerians for once now has a sense of relief and the hope for a better Nigeria has been rekindle. The formation of Buhari cabinet will be a major challenge, as their will be pressure from politicians and the party itself. The president-elect must rise to the challenge and put the interest of Nigerians ahead, appointments must be based on merit and dedication to the motherland. My contention is that getting the right man for Nigeria’s top job can either make or mar our nation, because the effects of bad decisions can last a generation or longer. Thus, choosing the right man for cabinet minister and other positions is a moral responsibility. Nigerians will not want to hear we need more time, because that slogan of change has sink into the head of many, who can’t wait to start seeing the change immediately. In advanced democracies, such as the United States, Canada, and Great Britain, there is constant government change among rival parties. We have abundant of talented individuals which I will love to see in GMB’s government. The likes of Gov. Rabiu Musa Kwankwaso has proven to be a good leader and one that has the interest of the people at heart, he has transformed Kano into a very beautiful city. He is the kind of person we need as the FCT minister, we need people who knows how to plan a mega city and Gov. Rabiu Musa Kwankwaso is a genius in this aspect. Sam Nda-Isaiah is another game changer, he is unique and has lead one of Nigeria’s leading newspaper so well. If he is given the opportunity to be the next minister of education, I guess Nigeria will have one of the most robust educational system in Africa. And our children will not be forced to seek for quality education in Europe and America. Obiageli Ezekwesili should also be considered in Buhari’s economic team, she has the zeal and talent to revive our failing economy. The fight against corruption is also a huge one, Buhari cannot fight it alone, he needs people such as activist Omoyele Sowore and Comrade Ahmed Omeiza Lukman based in the United State and Ukraine respectively. The duo have shown enough passion for a better Nigeria and zero tolerance to corruption and would be instrumental in GMB’s fight corruption. Nigerians are desperate for change and only careful selection of GMB cabinet can help achieve this fast, the era of give us more time is gone and our politicians must understand this fact. The English people once referred to India as a nation incapable of governing itself. But India overcame that label and is now an economic and nuclear powerhouse. Indian professionals now dominate the field of computer technology worldwide. Buhari cannot afford to select a vindictive, megalomaniacal, and grumpy personality into his cabinet. 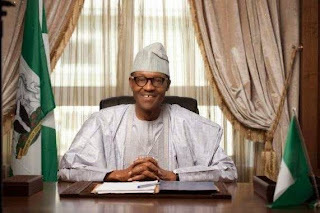 Our nation’s very survival is at stake, and APC must give a free hand to GMB to select whoever he wants in his cabinet.